A theme of Salvation runs through several Hollywood movies. From Maleficent to Snow White and the Huntsman to Independence Day, there is a common story. In spite of the different plots and characters, one finds an unmistakable unifying theme which basically goes like this: Something is wrong with the world. It could be a spell cast by a powerful witch, an alien invasion or a social condition. There simply is a defect in the way things are. At some point, a Saviour or Deliverer emerges. This could be a superhero, another powerful (but good) creature, or a new technology. It meets the challenge, there is a battle, and the Hero wins. Evil is defeated. Once more the beauty and goodness of the world is restored and man lives happily ever after. This is probably oversimplified, but I think you get the gist. The theme is compelling. It reveals that deep awareness in the human heart that all is not as it should be. We observe the brokenness in homes and families, crime and violence in our cities, heartbreak and pain in relationships, greed and corruption in business and government. We sense intuitively that it shouldn’t be this way. And so we long for deliverance, for change and, let’s face it, for Salvation. Because the problem is seen as social, cultural or environmental in nature, we often seek the change from the Government. We see them as issues that can be resolved through legislation. Bribery is wrong; control it by sentencing anyone convicted of it to 10 years in jail. What about robbery? A jail term of 6 years with hard labour. In other cases, the corruption is seen as a result of a particular individual’s influence. Maybe a king or an emperor. The solution? Change the leader. As a good and powerful king attains power, the fortunes of humanity are reversed and the world is saved. The problem with the story as told by Hollywood is not that it is untrue. Far from it. So much of it is. The evil in the world is complex, with physical, cultural and environmental dimensions. And this sickness has been on for ages. Also, there is no doubt that leadership (good or bad) is a significant factor in the course of human history. What would our world have been without people like Moses, King David, Charlemagne, Winston Churchill, or Martin Luther King Jr? Or who can ignore the negative impact that men like Hitler (Germany), Stalin (the USSR) and Idi Amin (Uganda) have had on their respective societies? The problem with the Hollywood story is that it is incomplete and one-sided in its depictions. And because of its deficiency, it is inadequate as a story or worldview. 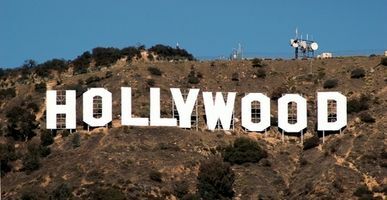 Rarely does Hollywood consider man as a spiritual being who must maintain fellowship with His Maker. When it does portray man’s spiritual nature, it often incorporates some form of nature worship or pantheistic worldview. The defect we perceive in the world stems from the human heart. The Christian worldview holds that every human is at heart corrupt and sinful. This belief itself is derived from the Bible and is validated by our own experience. We can perceive unkind and unloving thoughts within ourselves. We sometimes make mean and cruel utterances. And we often act selfishly and arrogantly. These are not behaviours induced by our environment or forced upon us by society. They emerge from our very hearts and are reflections of a deformed nature. If this is the problem, therefore the solution must be to get that deformed nature corrected. And this is what the Christian worldview offers in the Gospel. God transforms our hearts through His Spirit, reconciling us to Himself through faith in Jesus. As many more people experience this change and allow it to alter their thinking and their lives, society is affected. Selfish husbands and fathers become loving and caring. Greedy employers and bosses are transformed into godly mentors and leaders. Corrupt government officials begin to use public funds properly in promoting the well-being of their constituents. In this way, society is gradually but truly changed, for it has been first renewed at the source.